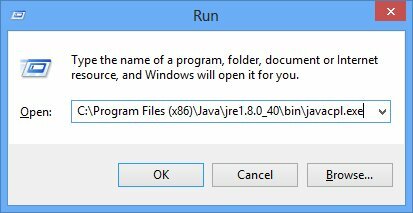 The Java runtime language includes a Control Panel Item to customise its use in Web Pages. 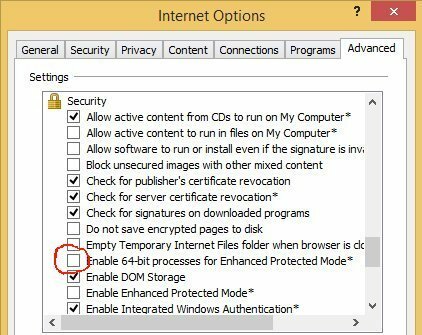 Opera and Chrome may require other changes. FireFox does not seem to support Java Applets. 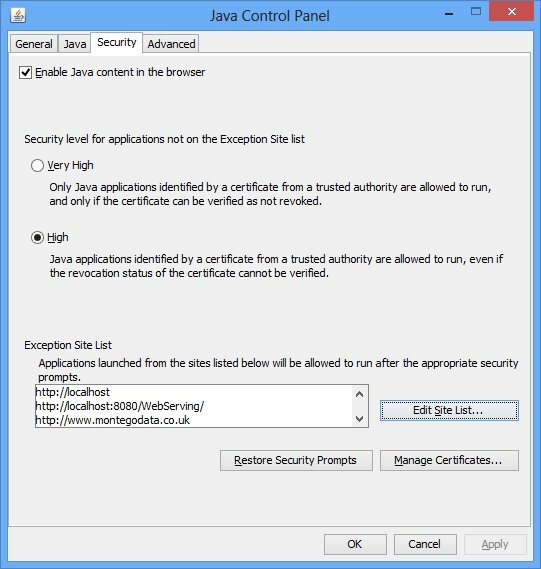 Add Site Level Medium Java Security. Select "Edit Site List..." add http://www.montegodata.co.uk Ignore the warning notifications.